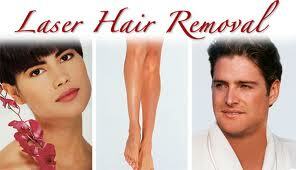 We had no shave November so why not laser December and get rid of all that hair for good!! So what is No Shave November? It is an event to raise awareness, usually for prostate cancer, but for men’s health in general. The month of November has been dubbed Movember, and participants are dubbed either Mo Bros or Mo Sistas; Mo being short for Moustache. To participate, you start off with a clean shave on October 31st, and do not shave your moustache for the entire month of November, and then resume your regularly scheduled shaves on December 1st. While this is generally a men’s event, women are welcome to show support as well, via other means. It is a great cause and some women participate so their husbands or boyfriends won’t. Not because they do not want the awareness but because they do not want the hair poking them! So why not just get it all lasered off so you have no shave all the time!! Dec is a great time to give a gift of laser hair removal or give yourself the gift that will keep on giving! Be sure to check all the great specials the Z-Spa in Fort Worth, TX has! Z-Spa is a great place for hair removal and more. The great staff will treat you right and by next November you will not have to shave!